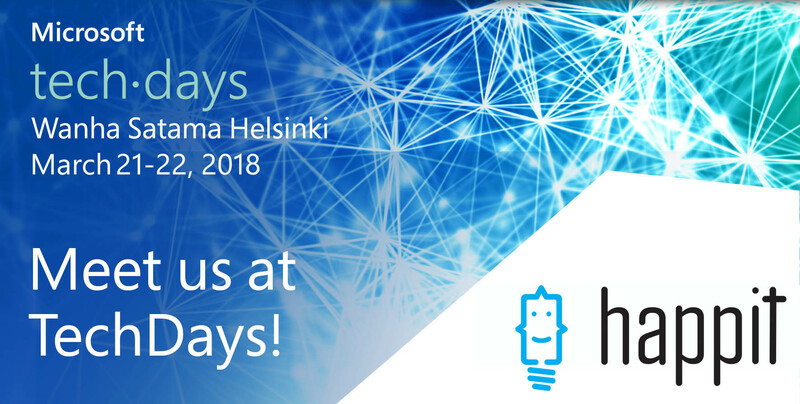 It’s Tech Day Helsinki and we are excited to reveal to you the future of enterprise learning! Come and join us! Did you know people learn 70 % by doing, 20 % from mentors and only 10 % while “educated”? This is causing major challenges in enterprise learning today. You might be wondering how could your company help onboard or train your employees more effectively. Maybe you are a software company looking for a solution to engage your customers. In any of this cases Happit can be a solution for you problems! Be sure to visit us at Tech days March 21-22 at stand 23. We will show you, how you can train your people 3 times faster and engage them with your business goals like never before! In the end, we are always eager to meet inspirational people and fellow startup colleagues. Most of all, we love to hear about new disrupting ideas you can share with us. See you soon!